My salon would actually be amazing. I’m going to seriously consider this. 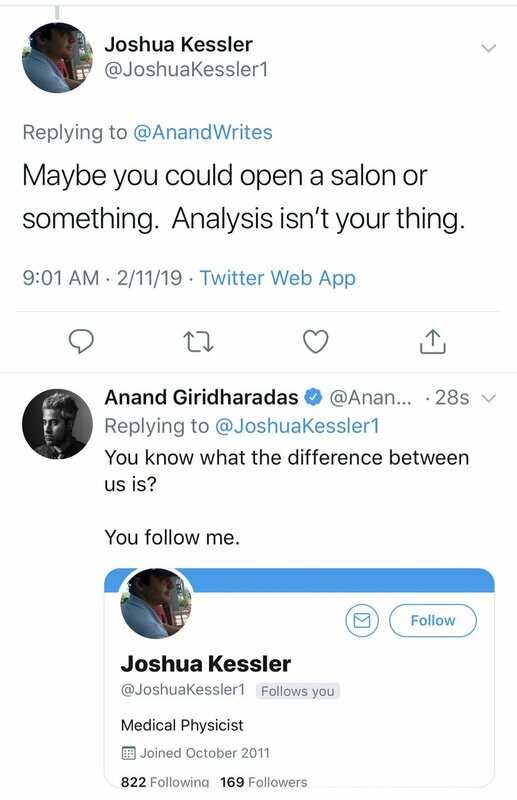 I think my salon would offer free haircuts, funded by stealing Bitcoin from billionaires, and it would also be a discussion salon during your haircut, and each conversation would be prompted by a Salon article. There would also be a bar in the back, called The Salo(o)n. It would serve a cocktail called Nolas, involving tequila.
.@AOC is too busy slaying dragons to volunteer her bartending skills, but I do believe she might be persuaded to submit a signature cocktail recipe. It will be green, it will be new, and, at $4 before 5 p.m., it will be a deal.